Here are some of the first pictures I took with that camera I was so excited about Friday. 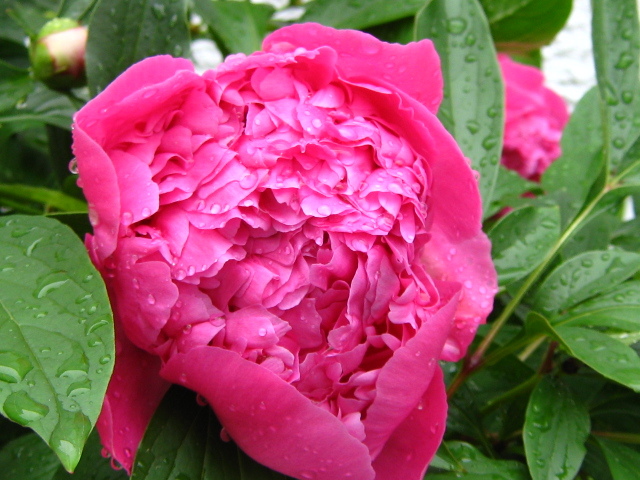 I was almost as excited to see my peonies weather a few days of rain without all the petals falling off. Too bad there’s no room for bees to get into them. That’s okay. 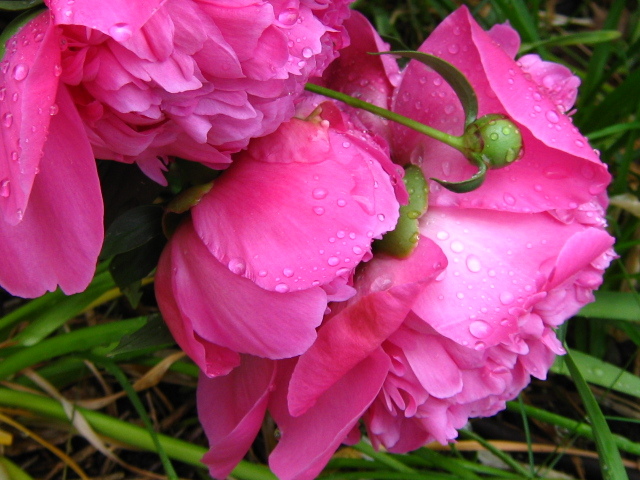 I’ve got other flowers for the bees. 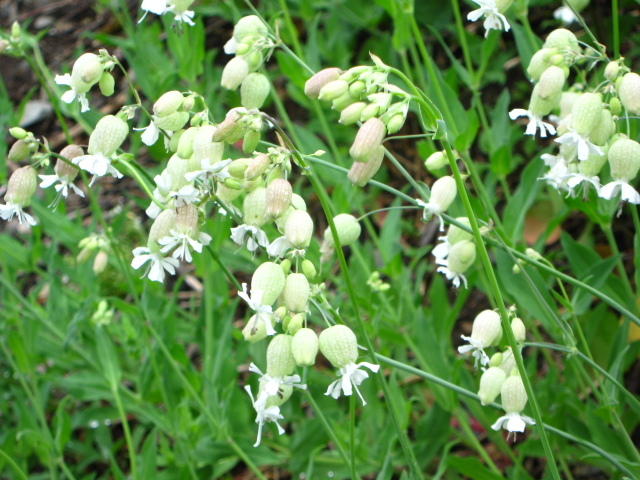 Right now this bladder campion is probably the best nectar source in my yard, even if it is a weed. Hopefully, by the time they stop flowering, there might be sunflowers for the bees. The seeds came from The Great Sunflower Project. The idea is to plant sunflowers and watch to see which bees visit them. They seem overwhelmed by the response, but they’re still accepting participants until June 15. Hmm. Why shouldn’t my orchids be allowed to go outside? I bet they’d like it. My son and I have been trying sunflowers this spring. We planted about 30 in a good spot outside, and the squirrels ate them all. Dug at least half up before they sprouted, and chewed off the rest as soon as they shot up. Them my fool landlord dumped cedar mulch over the bed. I noticed one survivor poking through the other day, and two more still-unidentifiable sprouts that might be sunflowers. So there’s some hope. On the positive side, the ten or twelve we have in a box indoors are doing pretty well, sans predators. You’re just not filling the bird feeders fast enough to satisfy the squirrels. Roundabouts where I live, we don’t call ’em bird feeders. We call ’em cat feeders. LOL. 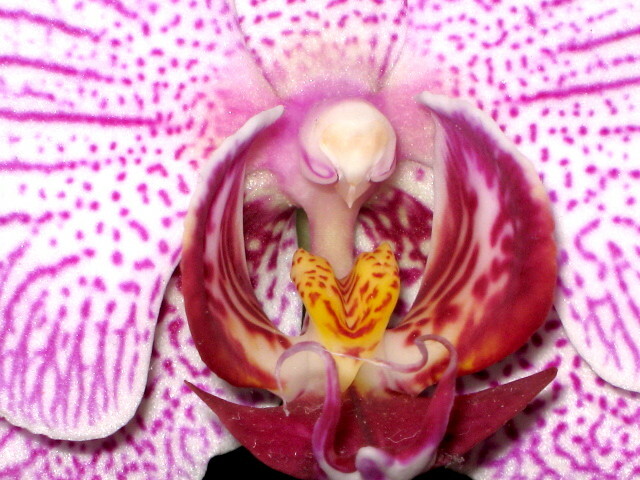 As for why your orchids shouldn’t go outside, hereabouts there are wasps that’ll cut off the edges of the petals, not to mention the snails and slugs. The orchid is doing fine. It just started another flower stalk!